Although the organization is composed mainly of volunteers, there are typically 10 staff members who are responsible for tasks that include home and school visits and recreational outings. Such assignments often present travel or personal safety risks. These employees also have to tabulate the mileage and costs of their travel, as well as report on and analyze their activities to determine the organization's reach within the community. 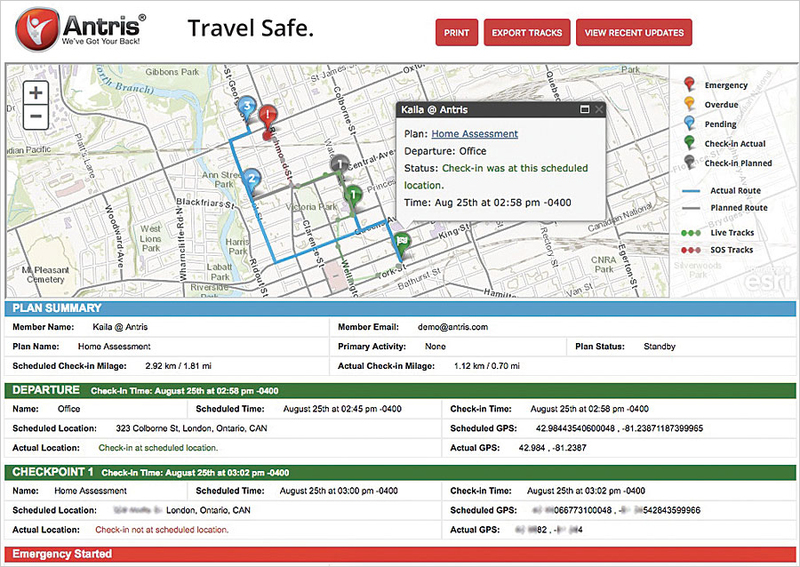 Seeking to quickly phase safety monitoring into staff members' daily work routines, BBBSOLA engagement specialists and coordinators implemented AntrisPRO, a cloud-based app from Antris that employs the ArcGIS platform to enable BBBSOLA to map fieldworkers in real time. 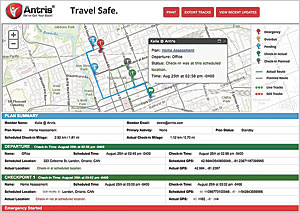 Additionally, AntrisPRO automatically provides a detailed report of the total mileage each user travels, which is essential for reporting. BBBSOLA is now able to use the app to assess how to improve time management by putting together snapshots of staff time in the community, how frequently they're there, and where they need to enhance their work. AntrisPRO also captures data for how often each trip is traveled, generating a heat map of BBBSOLA's overall reach within the community. AntrisPRO allows BBBSOLA to save on both costs and time. The organization doesn't need to hire an additional person to be available for employee check-ins and ensure safe arrivals and departures, which saves the nonprofit almost $1,000 per month. Documenting employees' mileage used to take two to three hours to complete, but now that this is an automated process, employees can use those hours to do other work. And using the heat map lets BBBSOLA quickly and easily see how to better manage personnel and resources. With AntrisPRO, BBBSOLA now has a reliable, GIS-based solution that ensures everyone's safety while also making data easier to collate, share, and evaluate.